Android Slices, a tool to help move common tasks out of apps and into search on your phone, is starting to show up for some users. Google first announced Slices at I/O 2018 with a promise of bringing key app features — such as booking a ride with Lyft — out of apps and putting them in Google Search and Assistant. Late last year, Slices entered early access, although at the time Google didn’t provide details on how to join the program. Now the feature is starting to show up on Pixel devices for some elements in the Settings app. 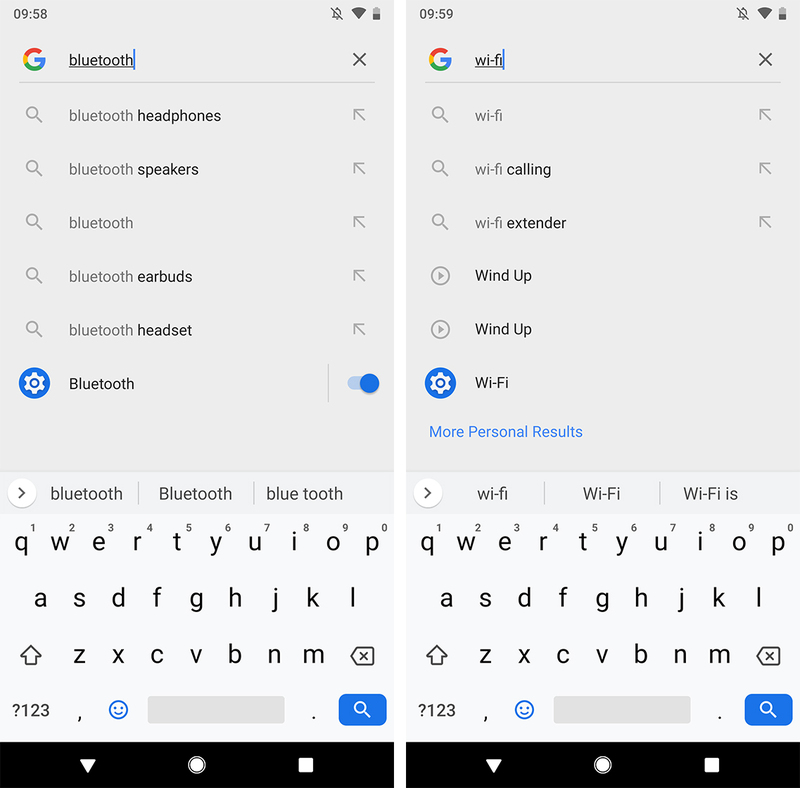 For example, a search for ‘Bluetooth’ or ‘Wi-Fi’ brings up a toggle to turn that function on or off. Unfortunately, these seem limited to Pixel phones running Pie for now, and even on Pixel phones they may not all be present. My Pixel 2 XL, for example, only shows the Bluetooth Slice. Slices feature the blue settings icon on the left with the name of the function beside it and a toggle on the far right. Left: Google search with a Slice. Right: Google search with no Slice. Further, some of the Slices include additional context. The Wi-Fi Slice, for example, lists the connected Wi-Fi network. It’s also worth noting that Slices can take some time to load. 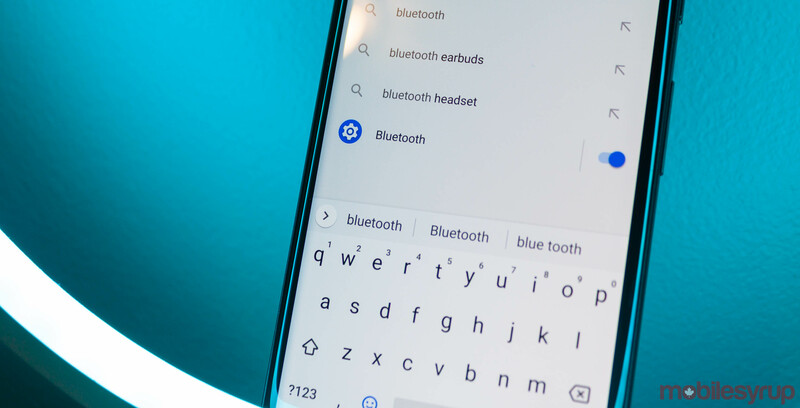 I found the Bluetooth Slice on my Pixel 2 XL wouldn’t load until I had fully typed Bluetooth into the search bar. While Bluetooth and Wi-Fi are the only Slices currently present, you can expect more Settings Slices to show up in the future. Google previously showed off Slices for adjusting brightness level, checking your mobile data and more. We’ll also see Slices from some third-party apps in the future, such as Lyft or Google Photos, to name a few. For now, Slices appear to be a server-side update linked the latest Google app.